“Hear no evil . . . See no evil . . . Speak no evil . . . ” Now there’s one more evil to avoid. 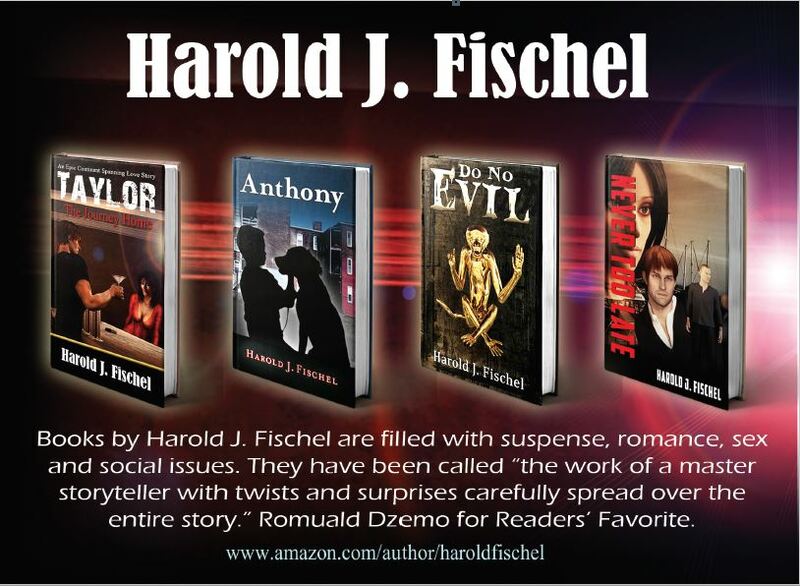 Do No Evil by Harold J. Fischel is the perfect example of what happens when you are careless of others’ feelings. Some of your innocent decisions can ruin someone’s life too. The story follows Jason Housten, who lived with his mother after his parents got divorced. He is a brilliant man, just like his father. But there is one thing; he leaves a trail of broken hearts behind him. He loves women and then he leaves them. His high school sweetheart is still in love with him. Catherine supports him because she loves him and he does not care for that. When his neighbor’s daughter, Ibby, is brainwashed to hijack a plane he just happens to be on, Jason had no idea that this single event would be a catalyst for a chain of events that will change his life. He helps Ibby understand the truth and now the poor girl is in love with him. Kristy, the woman he sees casually, has feelings for him and when she tells him this, he is finally forced to recognize what he must do now. He needs to make a choice, but who will he choose? This is a good novel. I loved the characterization and development of the characters. Jason is a very hard character to like. He was a relatively good man, but some of his attributes just grated and this is the reason why I liked him so much. He is a well-rounded character, he is very human and that makes him relatable. I liked reading his responses because they were real and what most of us would have come up with. This really is a good read and deserves all the praise it can get.